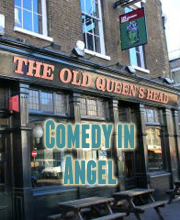 Laugh Out London comedy club is back in Tooting at last for another top night of alternative comedy! Star of Mock the Week Ed has been smashing his fringe run of he new show Blizzard, selling out across the board and adding extra shows to boot. Ed is clearly heading for the stratosphere. Andy Field was named as Chortle’s One to Watch in 2017 and after one Edinburgh run he has developed a reputation for being one of the most surreal stand ups currently breaking through.